EDITOR’S NOTE: Thanks to PP Blog reader “Tony” for pointing us to the British Columbia Securities Commission (BCSC) warning against the Lucra Fund and Goldenarium HYIP schemes. Earlier this month, BCSC issued a warning on the Profitable Sunrise scheme. The British Columbia Securities Commission has issued warnings on HYIP “programs” known as Lucra Fund and Goldenarium. BCSC’s move follows on the heels of its move earlier this month to issue a warning against Profitable Sunrise. 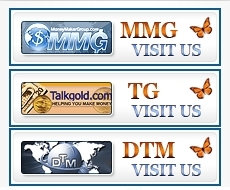 All three “programs” had a presence on well-known Ponzi scheme forums such as TalkGold and MoneyMakerGroup. The Zeek Rewards “program,” which the SEC in August 2012 described as a $600 million Ponzi- and pyramid scheme, also had a presence on the forums. So did many other collapsed schemes, including the $119 million AdSurfDaily Ponzi scheme, the $72 million Legisi Ponzi scheme and the alleged $70 million Pathway to Prosperity Ponzi scheme. P2P spead Ponzi misery to at least 120 countries, according to the U.S. Postal Inspection Service. BCSC said it became aware of Lucra Fund on March 11 “after a BCSC staff member received a promotional e-mail. “The sender of the e-mail wrote that Lucra Fund offered 5.5% daily returns, and promised a referral commission,” the agency said. Among the talking points of Lucra Fund was that it employed “DDoS Protection By BlockDos,” according to a pitchman’s post at MoneyMakerGroup. On March 19, BCSC said, the agency “became aware of what appears to be a BC-connected promotion of Goldenarium through Twitter. Similar to Profitable Sunrise, this high-yield investment promotion offered a minimum investment of $10 and high daily returns. It also offered a referral fee. “The Goldenarium website no longer works, and people on numerous Facebook pages connected to the scheme are questioning whether the entity will reactivate its website,” BCSC said. In August 2012, a pitchman on the DreamTeamMoney Ponzi forum described Goldenarium as “a company registered in England and Wales (United Kingdom) that “fulfills all the necessary requirements to provide a serious and highly reliable service to all our customers. Profitable Sunrise also described itself as based in the United Kingdom. It is now the subject of at least 30 Investor Alerts or cease-and-desist orders in the United States and Canada. The United Kingdom and New Zealand also have issued warnings against Profitable Sunrise. Before its 2011 collapse, “Insectrio” used the logos of DreamTeamMoney, TalkGold and MoneyMakerGroup in sales pitches. In August 2011, the PP Blog wrote about the collapse of a bizarre “program” known as Insectrio that advertised an “Egg” plan purported to pay 103 percent after one day, a “Larva” plan purported to pay 120 percent after five days and other plans advertised to pay even more. It was enabled by the offshore processors LibertyReserve and PerfectMoney, two of the processors used by Profitable Sunrise. LibertyReserve and Perfect Money also are referenced in the SEC’s October 2010 fraud complaint against Imperia Invest IBC, a scheme that targeted deaf investors. Imperia also had a presence on the Ponzi boards. Insectrio used the logos of DreamTeamMoney, TalkGold and MoneyMakerGroup in promos. In July 2010, after the collapse of the P2P and Genius Funds HYIP schemes, the Financial Industry Regulatory Authority (FINRA) issued a warning about HYIP schemes, pointing out that they trade through social media. “Some HYIP ‘investors’ proffer strategies for maximizing profits and avoiding losses — everything from videos showing how to ‘make massive profits’ in HYIPs and ‘build a winning HYIP portfolio’ to an eBook on how to ‘ride the Ponzi’ and get in and out before a scheme collapses,” FINRA said. “Other HYIP forums discuss how to enter ‘test spends,’ how to identify new HYIPs to maximize one’s chances of being an early stage payee and even how to check when a HYIP’s domain name expires so you can guess how long it might pay returns before shutting down,” FINRA noted. I can’t be bothered to quote any of it. Read it & play “spot the ponzi-excuse”.